Over the years, a Madame Tussauds wax figure seems to have become a rite of passage in the industry or at least a pat in the back in terms of growing public relevance. That said, it seems about time that Golden Horse Awardee for Best Actress Sandra Ma Sichun got her very own 'twin'. 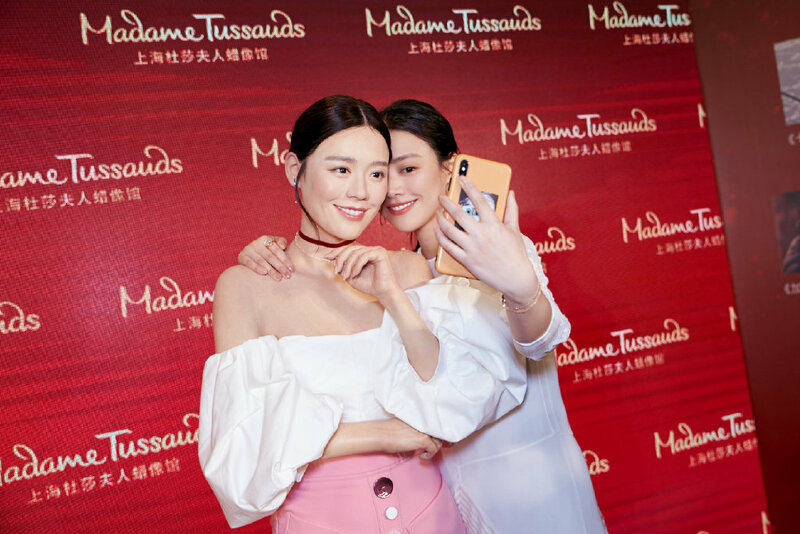 Sandra Ma attended the unveiling of her wax figure in Shanghai and of course, posed for the classic selfie. 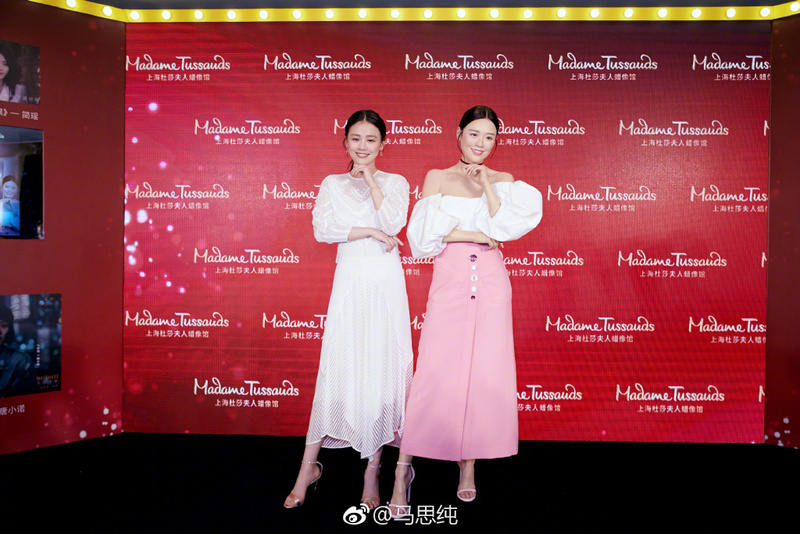 Having purposely gained around 16 pounds to play an unemployed overweight woman in her new drama Mr. Fighting, the actress seems determined to return to her old weight since filming wrapped and muses that she's almost as thin as the wax figure now. She attended the event in a white dress from Chloe's Spring 2019 Collection.